David works in our Race Department - getting to handle some of the biggest, fastest and best engines to come out of S&S. No, seriously - the pro stock engines we produce are 160 cubic inches!! 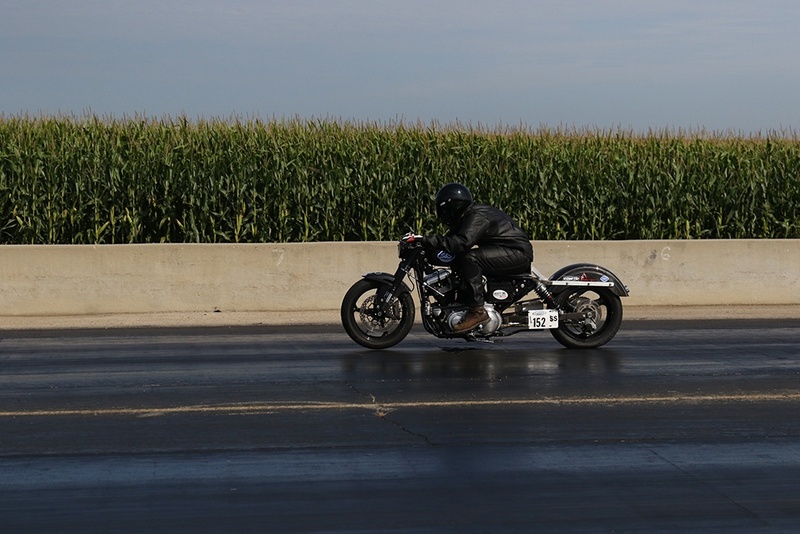 David can often be found working late in the R&D department, both on his pro-stock work, and often times on his own motorcycle. 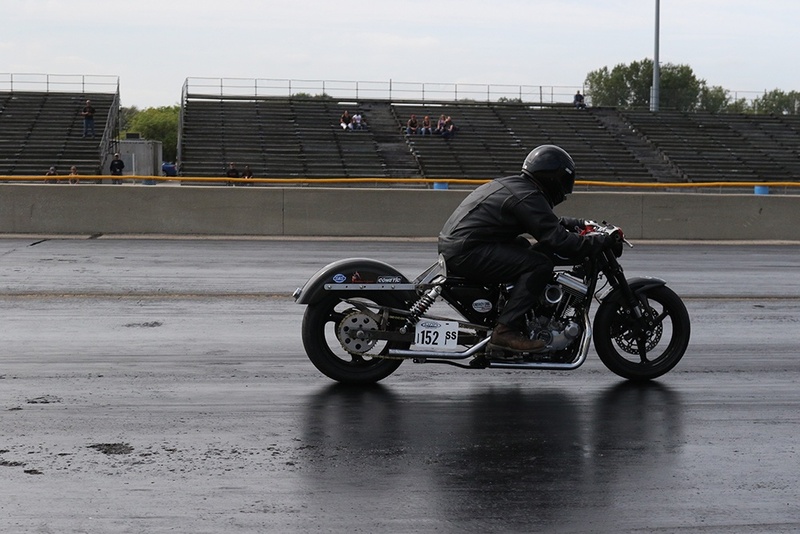 We got the chance to witness David race in person at the H-D® 115th Anniversary "Run What Ya Brung" race, where he hit 11.08 in the 1/4 mile - and that was one of his first passes of the day! Yep, that means he qualifies for our 11-Second Club - and knowing David and his dedication to goin' fast, he'll likely qualify for our 10-Second Club soon! 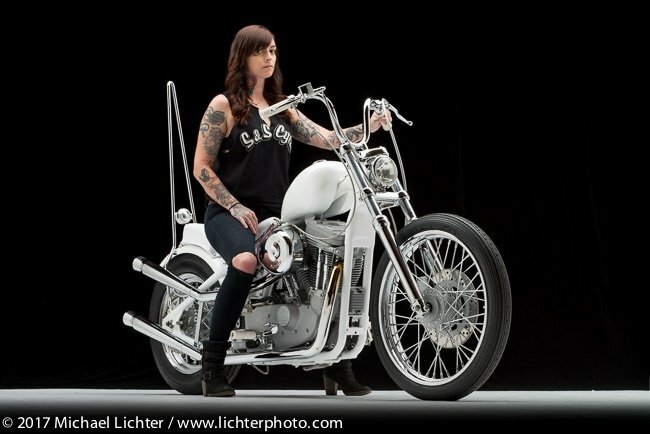 "In mid to late 2016 I began with just a bare H-D® Sportster® frame and a Honda® CBR600RR front end. This has been a project to help develop my skills as not only a machinist/fabricator but also to develop my skills as an engine builder/tuner. The bike is a 1996 Sportster with an 07 Honda CBR600RR front end and a 10" extended swingarm. Almost every single custom component was manufactured by myself. The only exception would be my billet upper triple tree which I designed but did not machine myself (prototype machinist Michael Scott gets the credit for that piece). 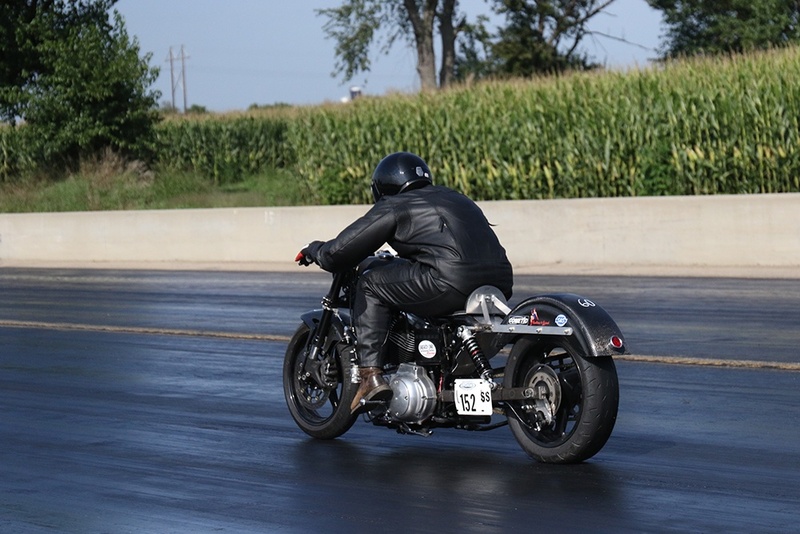 Many long nights and weekends have been spent working on this motorcycle to make it what it is today. Custom parts I have made from scratch include: steering stem, steering stem adjuster nut, +10" extended swingarm, chain guard, upper triple tree, upper shock mounts, front sprocket cover/guard, rear fender struts, seat pan, and probably some other small stuff as well. Basically just about every other part on the chassis has been modified in some way as well. I made it a point to make as many parts as I possibly could. The engine is a bit of an odd combination, but it seems to work decently well. It is an off the shelf S&S "high compression" 1250cc kit with a set of 07+ XL heads that I ported and did the valve job at home in my backyard shed. The heads use 1.900" intake and 1.605" exhaust valves with 5/16" stems that are held up by S&S .660" lift racing springs. I used S&S 600 cams with S&S adjustable pushrods and S&S 1.725:1 roller rocker arms as well. All of this is fed by an S&S Super G & an S&S velocity stack with no modifications. The crankshaft and transmission are still bone stock with zero modifications. The clutch is a stock basket and hub with an Energy One extra plate kit and a +25% heavier diaphragm spring. The real shocker here is that I'm still running on pump gas. I get a lot of funny looks at the track when I tell people that I'm still running 91 octane gas. 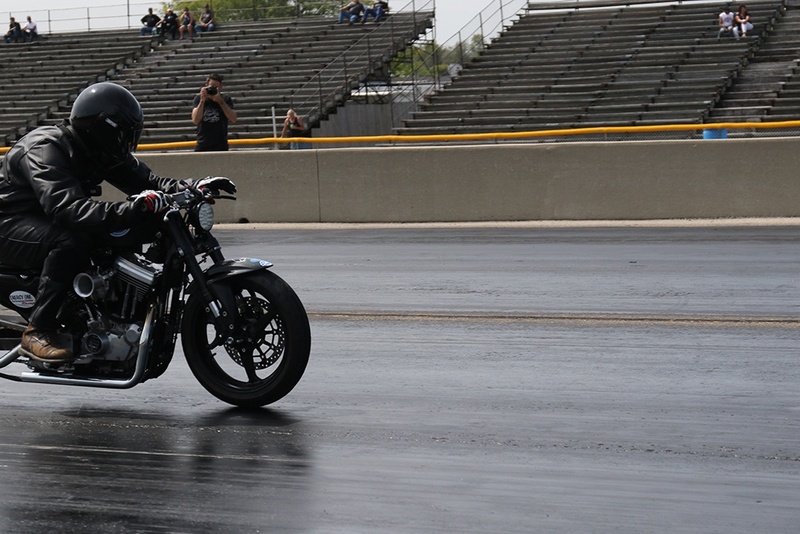 Unfortunately, I have not gotten this bike on the dyno yet, but I have run this bike plenty of times to be pretty dang close on the tune-up. This is a solid engine combo that anyone could buy and build with off the shelf components. I would recommend using S&S CNC Ported heads and 1.625:1 roller rockers though. Fast forward to mid-July 2018 and I'm loaded up in my little red Chevy Colorado and driving to the track for my first test session. My first visit to the track with this bike was probably the scariest day of my life. 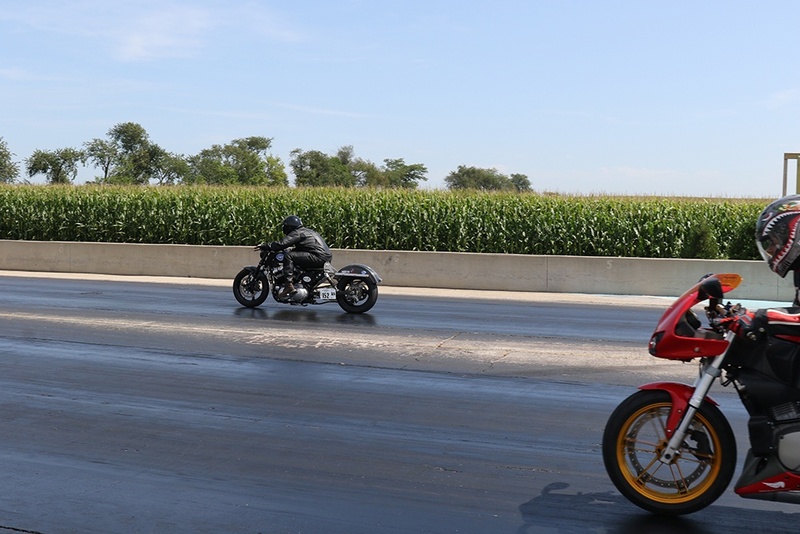 I had taken the bike up the road and back a few times, but doing that is a whole lot different from launching and holding the bike wide open for 1320 feet. 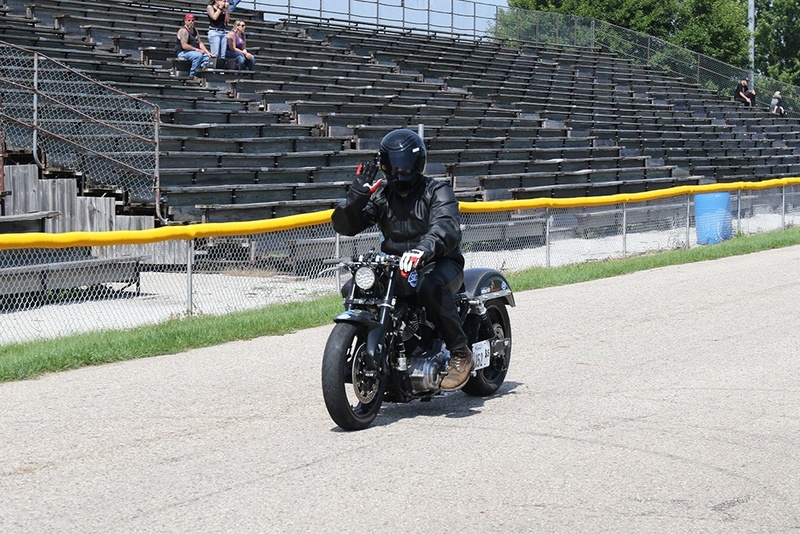 The first pass on this bike was also my first pass in about 2 years, which didn't really help my mental state. I couldn't eat all morning on the way to the track. By the time I had gotten there, I almost wanted to just turn around and drive home. I was super nervous and just scared to death that maybe there was something on the bike that I had forgotten to tighten or set up correctly. I went up to the line with a game plan in my head to let off at the 1/8th mile, but I stupidly abandoned all reasoning and safety and I stayed in it for the full 1/4 mile. I didn't want to let off! Luckily nothing went wrong. After a few more passes, I went home with a new plan of things I needed to fix/order before the AMRA National the very next weekend in Martin, MI. I didn't care. You couldn't have punched the smile off of my face that day. 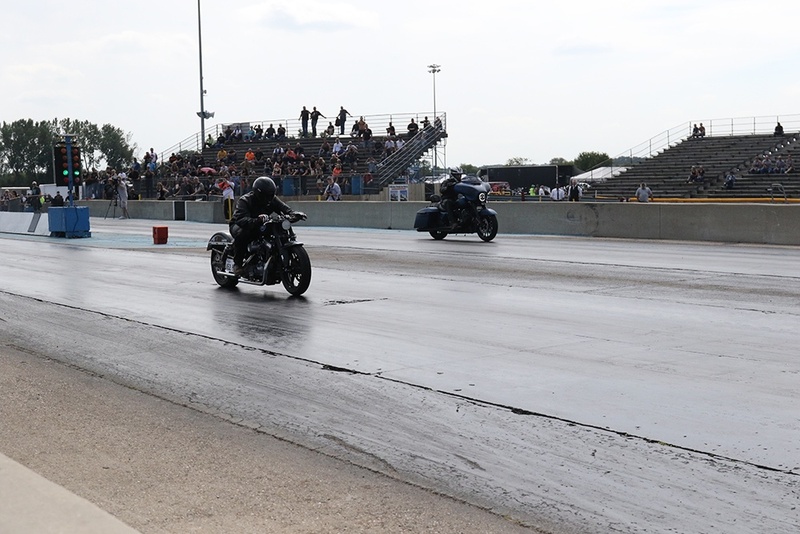 The AMRA National at US131 Motorsports Park the very next weekend was absolutely incredible. Getting to meet so many people that you talk to on the phone or online regularly was a fun experience. Getting to race at such a great facility and have an excellent prepped surface felt like Christmas morning. 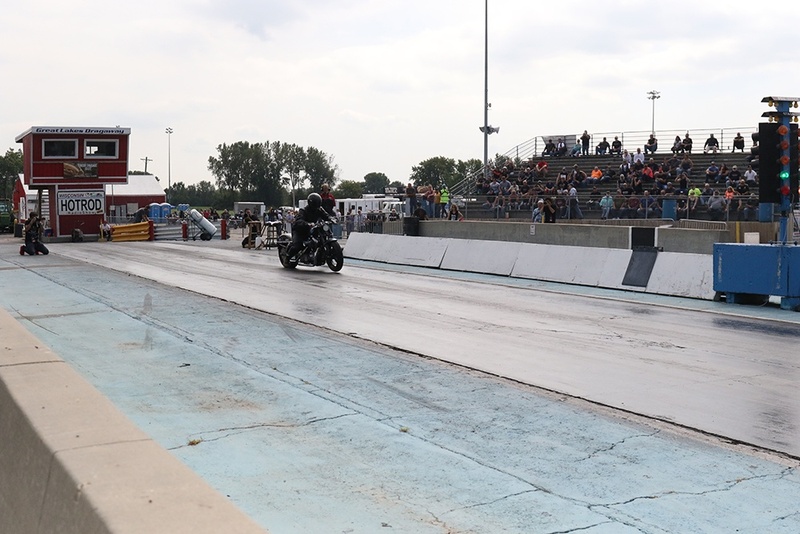 I struggled all weekend to get a good clean pass on the bike, but after the last round of qualifying on Saturday, I figured out what most of my problems were, made some adjustments/repairs, and I was ready for Sunday Eliminations. Since I had qualified so poorly, my first round matchup was against seasoned vet and friend Joe Perry. Needless to say he smoked me! 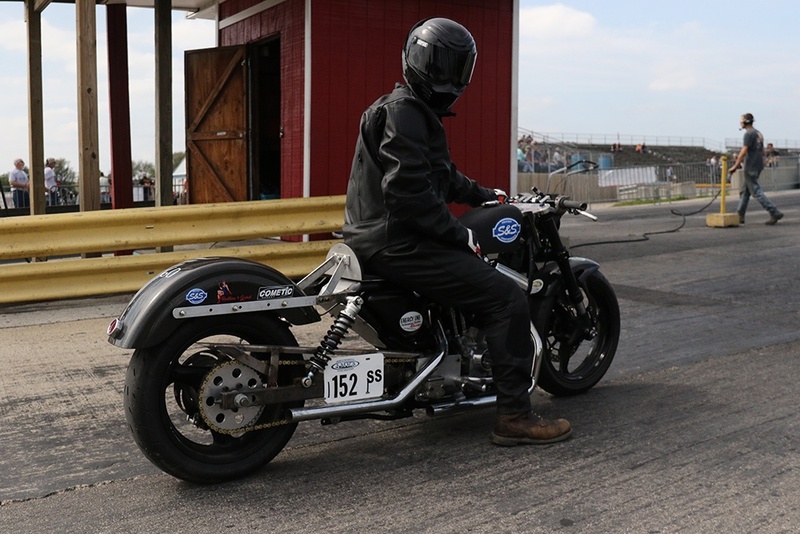 The bright side of that race was I had run my best run of the weekend at 11.17 @ 117 MPH which was about six tenths of a second faster than my best qualifying run. 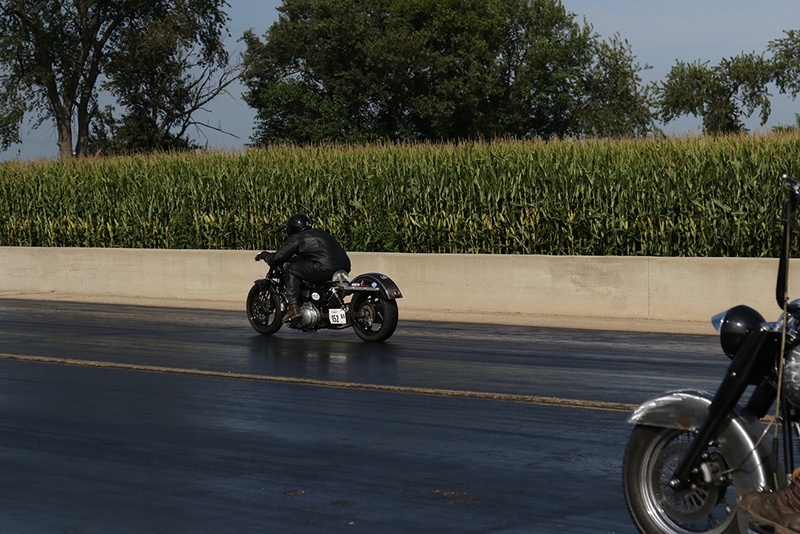 I left the event with a big smile and was already planning my next day at the track on the long drive home. Since then I have been able to go slightly faster at 11.08 @ 117 MPH. I believe that with a little bit of revised gearing and possibly some better tuning, I should be able to run a 10-second pass before the season is completely over. 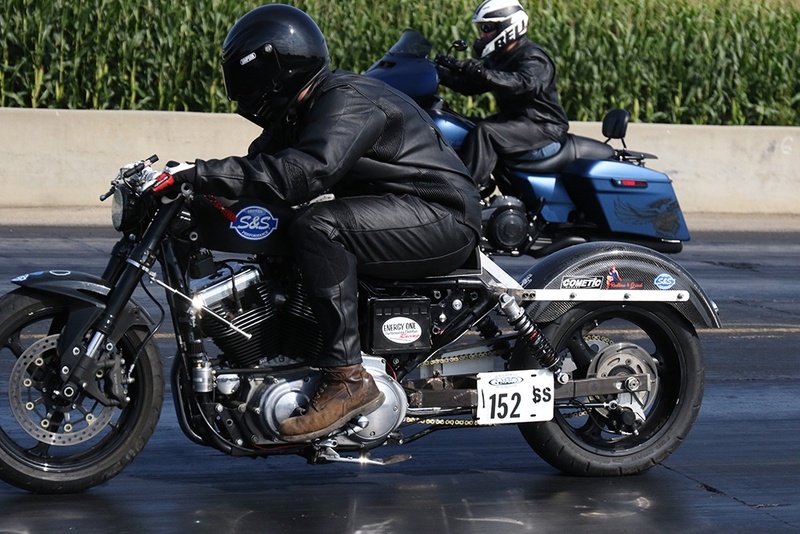 Keep in mind that I am not a skinny fellow, at about 220 lbs without leathers and gear. Imagine what this little bike would do with a rider who weighs 50 lbs less! 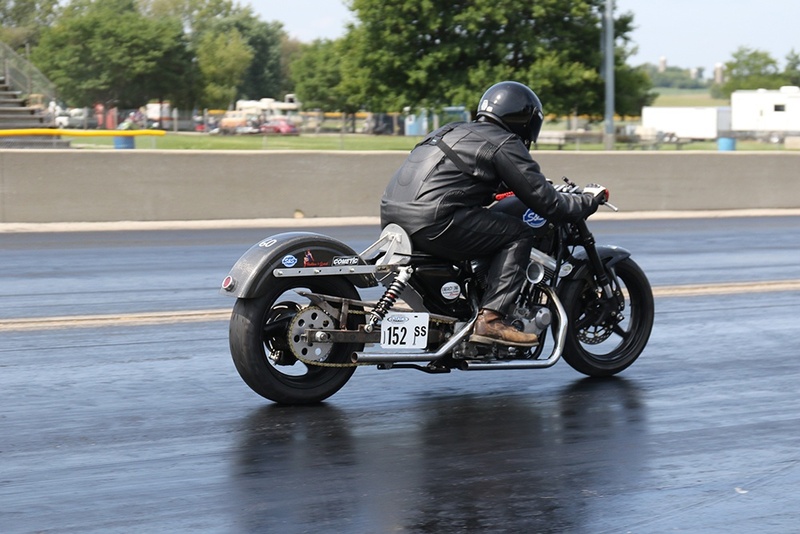 Future plans for this motorcycle are building a new 103" engine and moving up to the AMRA Hot Street class. Once that new engine is done I should be able to really hurt some feelings on this machine (hopefully not my own). I'm shooting to move up in 2020, but a late 2019 appearance isn't out of the question!"